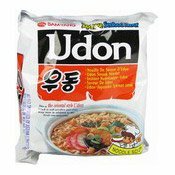 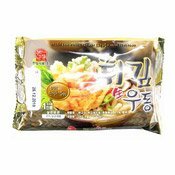 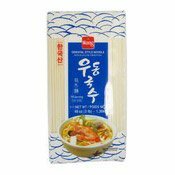 Ingredients: Noodles: Wheat Flour, Modified Tapioca Starch, Wheat Gluten, Salt, Corn Oil, Acidity Regulator (E325, E270, E260), Water. 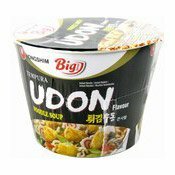 Liquid Soup: Water, Blended Soya Sauce, Salt, Monosodium Glutamate, Sugar, Seasoning, Anchovy Extract, Kelp Extract, Glucose, Acidity Regulator, Disodium Succinate, Disodium 5'-Ribonucleotide, Sugar, Katsuo Sauce Seasoning Extract, Katsuo Sauce, Dextrin, Yeast Extract, Monosodium L-Glutamate, Acidity Regulator. 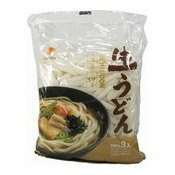 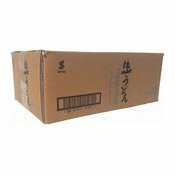 Tempura: Wheat Flour, Palm Oil, Wheat Starch, Dried Shrimp, Sesame Oil, Salt, Disodium 5-Ribonucleotide, Glucono- & -Lactone, Sodium Bicarbonate, Tocopherol Powder, Antioxidant. 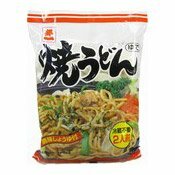 Dried Flake: Dried Green Onion, Dried Laver, Dried Bonito. 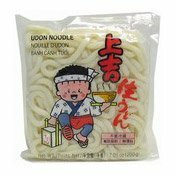 Simply enter your details below and we will send you an e-mail when “Udon Noodles (Tempura) (韓式烏冬 (天婦羅))” is back in stock!